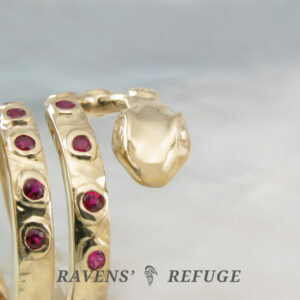 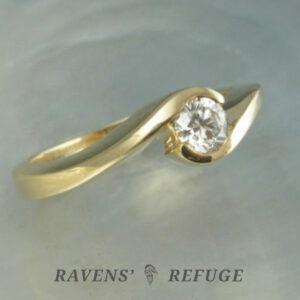 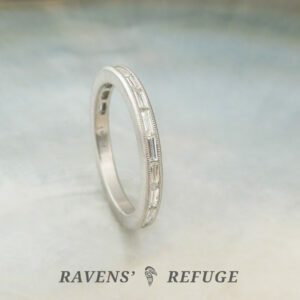 Though modern and unique, this ring has been made with the same methods used centuries ago by early metal smiths. 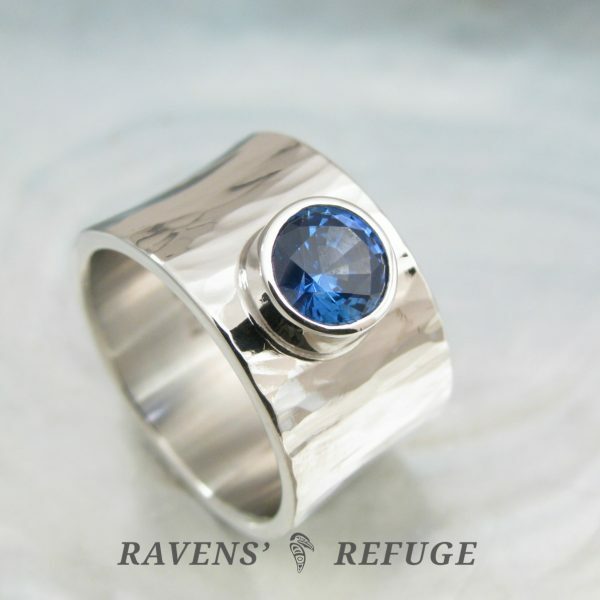 It has been hand forged from start to finish, which is exceedingly rare in these days when ring stock and bezels can be purchased pre-made and soldered together. 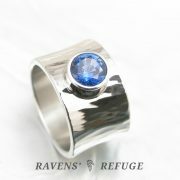 Dan will melt the raw platinum, hand mill the ring stock, and forge the stock into its concave shape. 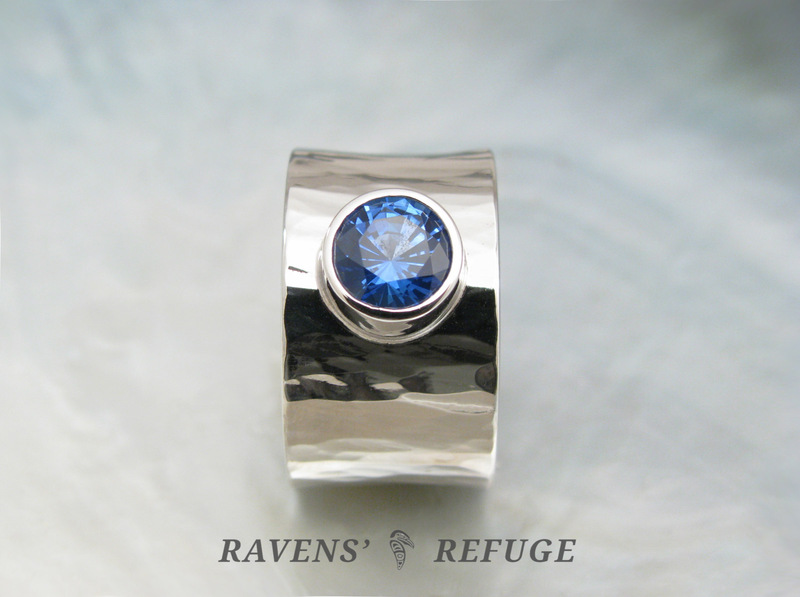 He then will hammer it in our unique “petite waterfall” style, where the light seems to ripple off of the facets as the ring turns. 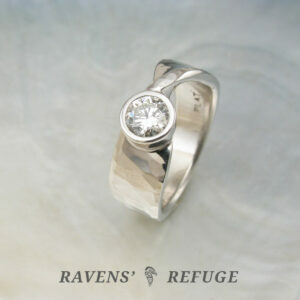 We use an alloy of 95/5 platinum/ruthenium for our platinum jewelry. 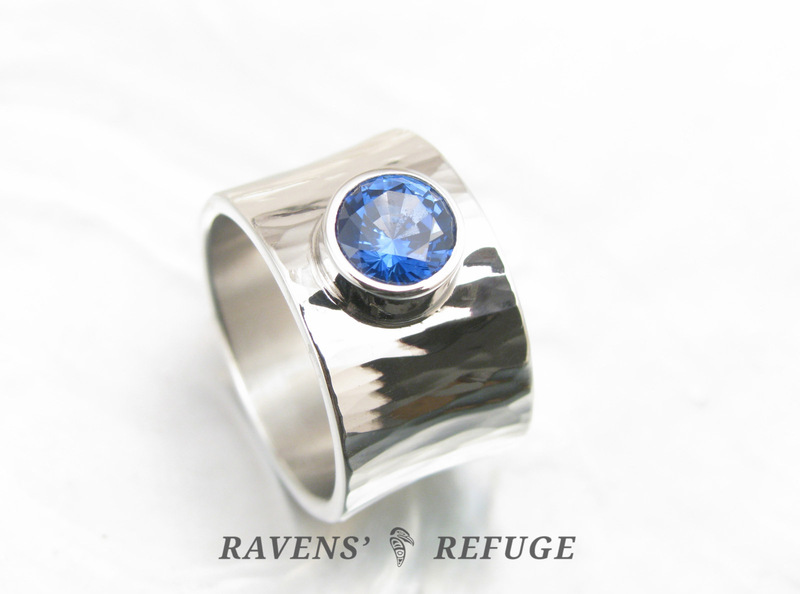 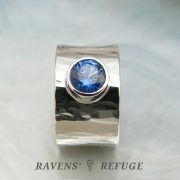 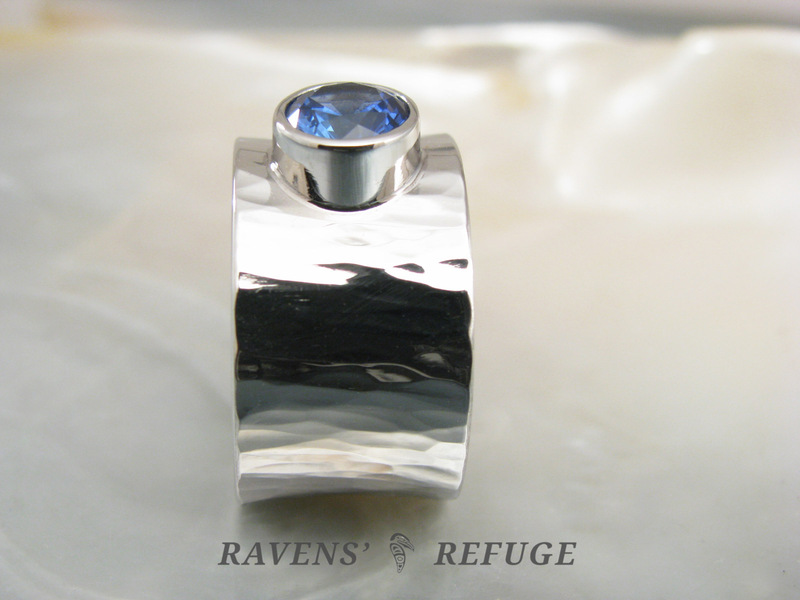 The band of this ring is 11mm x 1.5mm in dimensions and it cradles a 6mm bezel-set sapphire in its concave profile. 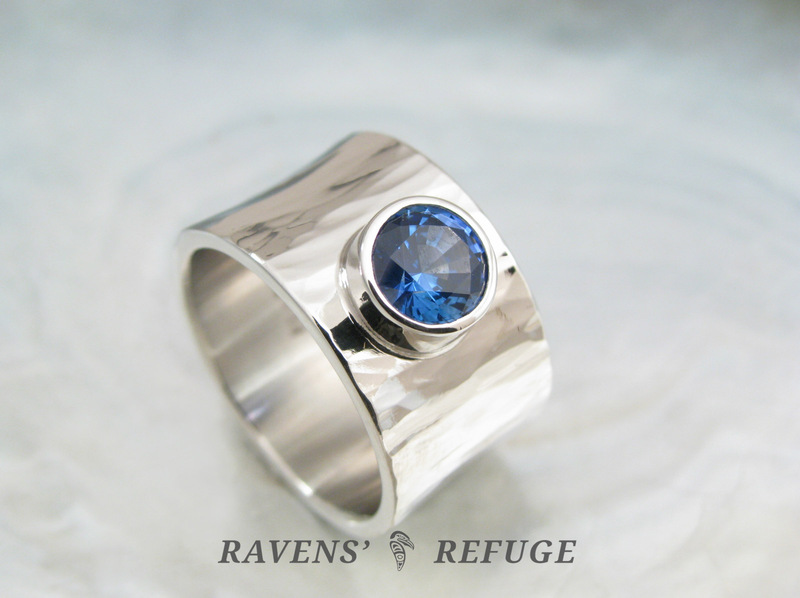 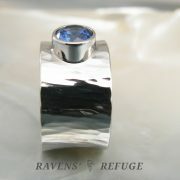 With petite waterfall hammering, a polished finish, and a gorgeous blue sapphire, there is some serious sparkle here! 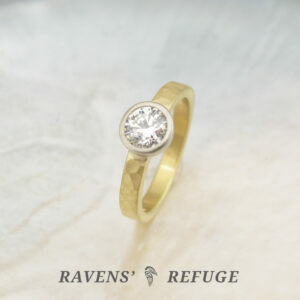 Please allow four to six weeks for production of this lovely ring, which will be made expressly for you.